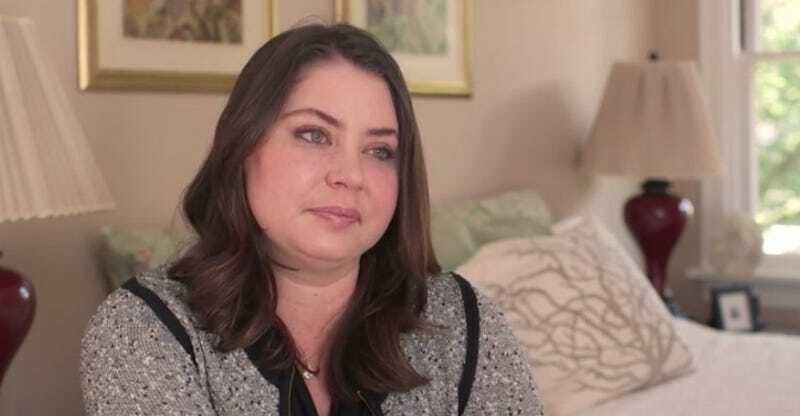 Brittany Maynard, the 29-year-old woman terminally ill with brain cancer, has been in the news for weeks, first for the heartbreaking video she made about her desire to be able to die with dignity through assisted suicide and, earlier this week, for a follow-up video saying that she may not choose to die on November 1 (a day that had been incorrectly characterized in the press as an absolute "deadline"). "I still have enough joy... that it doesn't seem like the right time," she said in the new video. But, she added, "It will come. It's happening. I can feel myself getting sicker each week." That's given anti-abortion, anti-euthanasia groups more time to tweak their Maynard-related talking points. Anti-abortion groups oppose assisted suicide, they say, for the same reasons they oppose abortion: because every human being should live from the moment of conception until their "natural" death. And so organizations like Texas Right to Life and media outlets like Life News have been working very hard to criticize Maynard's decision and suggest she's merely a puppet for assisted suicide advocates, while at the same time not coming across as a jerk to a dying woman. It's a tricky balance, and they're not succeeding all that well. Mostly, their efforts come across as ghoulish, unfeeling and deeply condescending. Earlier this week, Western Journalism, a conservative advocacy group, wrote: "Right now, [Maynard] is vulnerable; and the choice to end her life is like a teenager's suicide: just as tragic, just as avoidable." The headline they went with? "This Wife has Vowed to Widow Her Husband Very Soon." Meanwhile, Life News' Steven Ertelt opines that Maynard is merely a pawn, being used by larger, darker forces, including Compassion & Choices, the death with dignity group who helped Maynard make her videos. "[I]t now appears Maynard may have either been used by assisted suicide advocates to promote their agenda," Ertelt writes, "or may have been a part of a plan working in concert with them to attempt to legalize assisted suicide in additional states. Meanwhile, Texas Right to Life, a group that frequently weighs in on national issues, calls assisted suicide's like the one Maynard plans "a slippery slope," adding, "The bottom line is that, as long as anti-Life forces propagate the lie that so-called 'quality of life' should play a part in measuring human dignity, individuals will continue to view the right to life on a scale that wholly fails to account for innate, inalienable human value." In their Maynard coverage, these pro-life groups never fail to mention Philip Johnson, a 30-year-old Catholic seminarian who was diagnosed with inoperable brain cancer in 2008. Johnson, as an observant Catholic, obviously doesn't support assisted suicide, and wrote an open letter about Maynard on October 22, arguing that she shouldn't go through with her plans. "I agree that her time is tough, but her decision is anything but brave," he wrote. "I do feel for her and understand her difficult situation, but no diagnosis warrants suicide." He added, "[I]f she chooses instead to fight this disease, her life and witness would be an incredible example and inspiration to countless others in her situation." But Maynard has made it quite clear that she doesn't wish to be spoken for or to have her decision questioned. Last week, she issued a blistering response to Dr. Ira Byock, a physician who specializes in hospice and palliative care and who gave an interview on PBS about her case, despite not having treated her. Maynard's response, published by Compassion & Choices, also served as as a retort to everyone accusing her of not knowing her own will. "Byock claimed that Compassion & Choices had somehow taken advantage of me through 'exploitation' and that I feel compelled to die now based on public expectations," she wrote. "I DO NOT, this is MY choice, I am not that weak. The day is my choice, I have the right to change my mind at any time, it is my right. I am very confident about this. This is a patient right that is critical to understanding Death with Dignity." I made my decisions based on my wishes, clinical research, choices, discussions with physicians, and logic. I am not depressed or suicidal or on a "slippery slope." I have been in charge of this choice, gaining control of a terrifying terminal disease through the application of my own humane logic. We as a country have real issues with the way doctors are trained to speak about, educate and embrace realities of death. As a terminally ill patient, I find it disrespectful and disturbing when people discuss my personal health with details that are not accurate to push an agenda. In addition to allowing Maynard to die at the time of her choosing, maybe everyone can show her a small amount of respect while she's still here.